Home Concepts Energy featured Gadgets Ideas Invention MIT Smartphones Can These Water Droplets Power Our Smartphones? Can These Water Droplets Power Our Smartphones? Imagine if the humidity in the air could power your smartphone or laptop. It may soon become a reality! Water droplets jumping from a highly repelling surface can be harnessed to produce electricity that could be used to power electronic devices, MIT scientists have found. 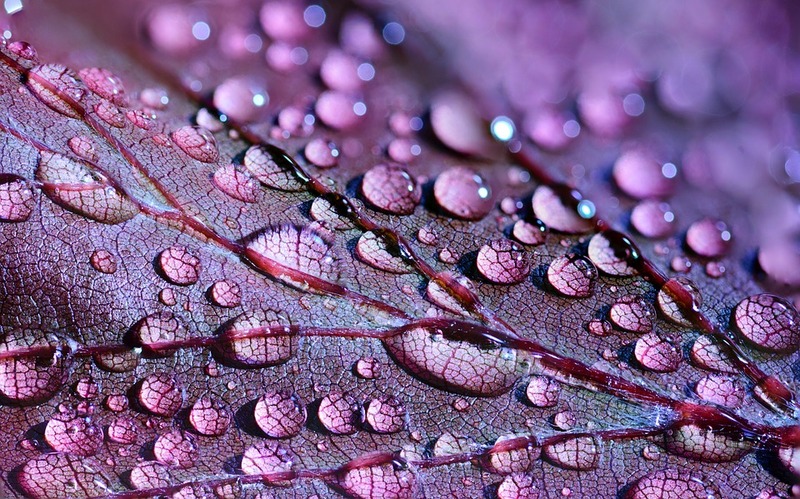 Last year, researchers discovered that when water droplets spontaneously jump away from superhydrophobic surfaces during condensation, they can gain electric charge in the process. Now, the same team has demonstrated that this process can generate small amounts of electricity that might be used to power electronic devices. The approach developed by Nenad Miljkovic, Evelyn Wang from Massachusetts Institute of Technology (MIT) and colleagues could lead to devices to charge cell phones or other electronics using just the humidity in the air. As a side benefit, the system could also produce clean water. The device itself could be simple, Miljkovic said, consisting of a series of interleaved flat metal plates. Although his initial tests involved copper plates, he said any conductive metal would do, including cheaper aluminium. In initial testing, the amount of power produced was vanishingly small - just 15 picowatts, or trillionths of a watt, per square centimetre of metal plate. But Miljkovic said the process could easily be tuned to achieve at least 1 microwatt, or millionth of a watt, per square centimetre. Such output would be comparable to that of other systems that have been proposed for harvesting waste heat, vibrations, or other sources of ambient energy, and represents an amount that could be sufficient to provide useful power for electronic devices in some remote locations. For example, Miljkovic has calculated that at 1 microwatt per square centimetre, a cube measuring about 50 centimetres on a side - about the size of a typical camping cooler - could be sufficient to fully charge a cell phone in about 12 hours. There are some constraints: Because the process relies on condensation, it requires a humid environment, as well as a source of temperatures colder than the surrounding air, such as a cave or river. In a practical device, two arrays of metal plates, like fins on a radiator, would be interleaved, so that they are very close but not touching. The system would operate passively, with no moving parts. For powering remote, automated environmental sensors, even a tiny amount of energy might be sufficient; any location where dew forms would be capable of producing power for a few hours in the morning, Miljkovic said. "Water will condense out from the atmosphere, it happens naturally," he said. The findings are published in the journal Applied Physics Letters.